JOHN T. BOBO concentrates his practice in Estates and Probate, Real Estate, Business transactions, and Local Government. Mr. Bobo has served as Bedford County Attorney for more than twenty (20) years and Moore County Attorney for more than thirty (30) years. Mr. Bobo was born in Fayetteville, Tennessee, June 4, 1948. He attended Tennessee Tech University (B.S., 1970) and received his Juris Doctor from the University of Tennessee – Law Review (J.D. 1972). 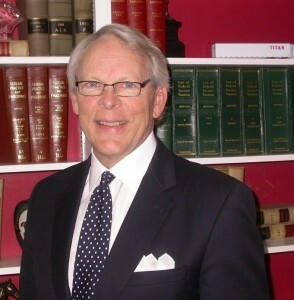 He became a member of the Tennessee Bar Association in 1973. Mr. Bobo has previously served on the Board of Directors of First National Bank of Shelbyville and the Advisory Board of Regions Bank of Shelbyville. He is currently a member of the Board of Directors of the Tennessee Walking Horse National Celebration and a member of the Tennessee Commission on Continuing Legal Education.